EDINBURG — UTRGV men’s basketball senior Nick Dixon thought his college career was finished after last week’s WAC Tournament loss to Seattle. Then, following a bus ride during UTRGV’s return trip from Las Vegas, Dixon learned his team had new life in the CBI with a road matchup at 7 p.m. Wednesday against New Orleans. The postseason trip is the program’s first since an NIT berth in 1981. Dixon, UTRGV’s leading scorer this season at 20.6 points per game, has the opportunity to cement his legacy from an individual perspective, too. An All-WAC first-team selection, Dixon has made 219 free throws this year and is only two away from breaking the program’s all-time single-season record, set by Luke Jackson in 1963-64. Dixon has scored 659 points this year, currently ranking No. 8 for a single season in program history. With 23 points, he would move into the top five all-time. 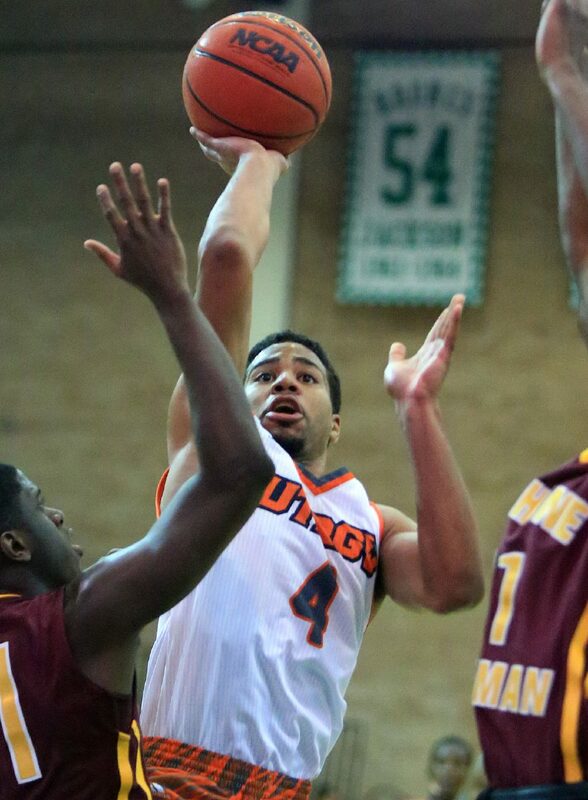 During two seasons with UTRGV, Dixon has scored 1,262 points, ranking 11th in program history. With 20 points, he can pass Jim McGurk for 10th all-time, and with 21 he can pass Mire Chatman for ninth. Dixon said he stays away from social media, so he had only heard rumblings about his career and season records before being asked about them on Monday. Dixon followed an unusual path to success at UTRGV, taking a year off from basketball after graduating high school in 2011. He joined the team at Morton College, an NJCAA Division II school, following an open gym tryout and played for two seasons. He signed at UTRGV prior to the 2015-16 campaign but left the team after only two games before returning to play in 2016-17. UTRGV enters the CBI at 15-17 overall and ranked No. 229 in RPI but draws a New Orleans team that is just 15-16 and ranked No. 239 in RPI. Travin Thibodeaux, UNO’s leader in scoring (16.3 points per game), rebounding (5.8 per game) and assists (2.9 per game), has not played in any of the team’s last five games. The Privateers are 1-4 during that stretch. Bryson Robinson, who boasts the team’s next highest averages in scoring (9.6) and assists (2.8), has also missed four of New Orleans’ past five games. UTRGV coach Lew Hill said he is preparing as if neither player will be on the floor Wednesday. Should UTRGV advance, it would meet the winner between Miami (Ohio) and Campbell. Miami is 16-17 and ranks No. 159 in RPI, while Campbell is 16-15 and ranks No. 267 in RPI. The tournament’s other three quadrants each feature a WAC team. Utah Valley, Grand Canyon and Seattle U are all in the field. UTRGV enters the CBI on something of a slump, having lost five of its past six games. But Hill said his players “loved” learning they would have the opportunity to continue playing while the rest of the UTRGV students enjoy spring break.